Poll: Did You Recover From Google's Panda Update? Home > Google News > Google SEO > Poll: Did Your Site Recover From The Google Panda Update? Poll: Did Your Site Recover From The Google Panda Update? I know this poll does not apply to all our readers but I know that 40% were impacted by Panda - so the 40% of you who read this site, please take my poll below. The question is simple, did you recover at all from the Google Panda update if your site was hit? As you the first Panda update was in February, Google rolled it out globally in April and on that roll out, some people said they saw incremental returns. Then Panda 3.0 2.1 was released in May and I've seen some that said they were doing better since April that they dropped again in May. So my question to you is if you were hit by Panda, are you now seeing any improvements? I know it may be hard to know if your site was hit by Panda or something else but try to be objective. Please have your friends take the poll and retweet it and post it on Facebok. I would love a few hundred responses, which I will publish in two weeks. Did You Recover From Panda? Google Mocking Those Impacted By Farmer/Panda Update? 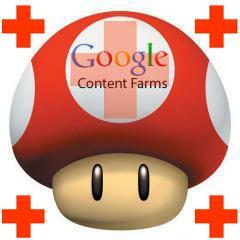 Is Google Rolling Out A Farmer / Panda Update? Forum discussion continued at Google Webmaster Help.